Finding a great deal on a Light Weight Full Cheek Snaffle Bit can be difficult. But do not worry as we have a vast selection of Full Cheek Snaffle Bits that are not just made of superb quality but also affordable. This item give lateral control and measures 1 3/4'' in rings and 12mm mouth. 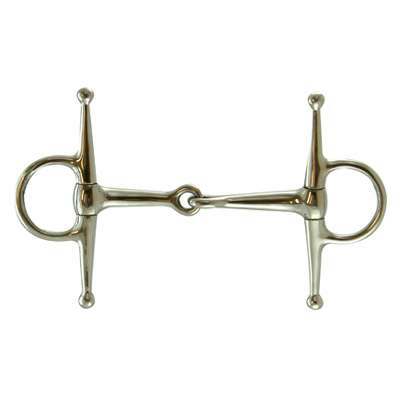 This Snaffle Bit is made of top quality materials that will last a lifetime. Finding the perfect Horse Full Cheek Snaffle Bit can be very hectic and time consuming. This is why we strive to offer only exceptional quality products that we believe are made of unsurpassable craftsmanship.